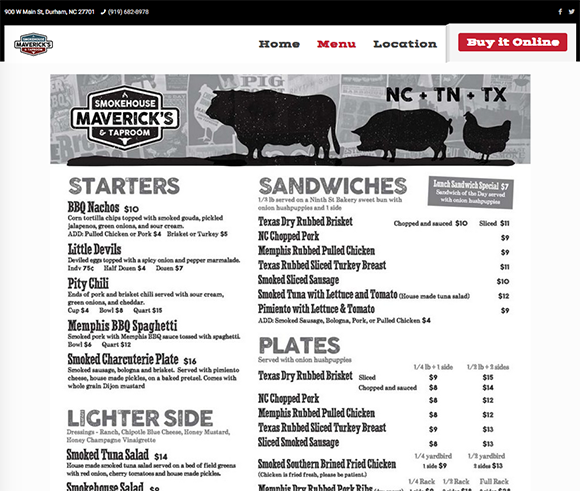 Maverick’s Smokehouse and Taproom is a downtown Durham restaurant featuring Carolina, Memphis and Texas style BBQ and more. At Maverick’s, guests can enjoy a relaxed, rustic indoor experience or take advantage of downtown Durham’s best outdoor patio. 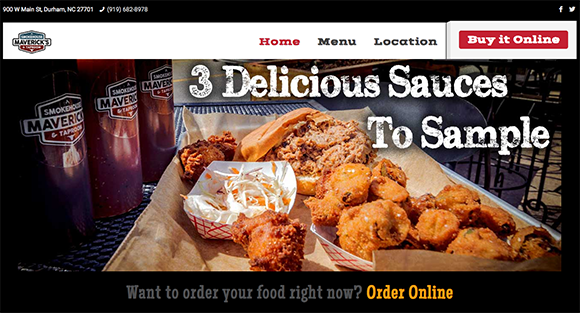 In addition to smoked pork, ribs, brisket, chicken and fish, Maverick’s menu will include Stinnett’s signature fried chicken, Memphis Bbq spaghetti and all the down home fixins’ and sides you’d expect. Grab a plate or a sandwich or sit down with friends and family for a family style meal. Sides include classics like mac and cheese, fried okra and collard greens with a creative culinary twist, along with Maverick’s classic onion hushpuppies.